I'm feeling it's not much of a step up from what they had before. First of all, no one uses "text size selectors" anymore. Customer service can be pretty hit-and-miss around these parts. In the past couple of weeks I had some of the best and worst customer experiences I can remember. 1 - The Running Room, Sherbrooke Street, Westmount. Duluth, between St-Denis and St-Laurent. Montreal is one big studio set up for street photographers. Read more about A seat in paradise. 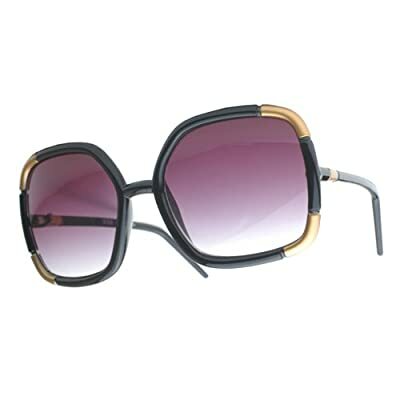 We've been seeing a disturbing trend recently in the growing number of women wearing big, poorly-designed Audrey Hepburn-style sunglasses. We're not sure how this started or who is responsible for it, but until we solve this mystery we advise all Montreal females to avoid purchasing, wearing or owning any such form of sunglasses. They are not flattering on you. They do not make you look classier or more sophisticated. Instead, they make you look like you failed the "A-B" test at the optometrist and were prescribed severe, Hubble-telescope-like corrective eyewear to treat your acute astigmatism. 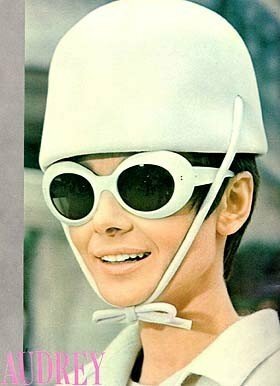 These suited Audrey Hepburn because they made her look like, well, Audrey Hepburn. In a classic, tragic example of a modern fashion Pandora's Box, however, they will make you look absolutely ridiculous and unhealthy - unless your last name is Hepburn, in which case you should contact me. On my semi-regular walk from Westmount Square to the Plateau today, I was walking towards St-Laurent street just as the police were closing off a section of Sherbrooke. There was a small crowd gathered talking about what had happened. Apparently, moments before I came by, a window-cleaning scaffolding cable broke off and a window cleaner fell to his death some 150+ feet down the Holiday Inn. People were pretty shocked, though I didn't see the victim or an ambulance nearby as the police were cordoning off the area. I always have trouble just going on my merry way when I come across something like this. I want to know exactly what happened, who the person was, which cleaning company, who's at fault, etc. Maybe I should've been a crime scene investigator instead. Like CSI, but without the retarded. As I leave the area the police are taping off the far side and redirecting traffic away. Some guy in an Audi with an expensive sports suit and designer glasses is yelling at the cop for not letting him through. I laugh to myself as I imagine him being 5 minutes late for his pedicure / bikini wax / heroin session, then I put my camera away, put my headphones back on, and keep on Imagining. The cable broke while the platform was much higher. More photos after the jump. Save the date: Wednesday June 13th at 6pm - yup, that's tomorrow evening! - is the last Noches De Poesia monthly get-together until after the summer season.